In 2012, Newcastle Building Society introduced its Sir Bobby Robson Foundation charity-linked accounts. The Society donates an equivalent of 0.1% of the total value held in the accounts to the Foundation. Incredibly, that totals more than £2 million in donations to date, making Newcastle Building Society the largest corporate donor to the Foundation. Andrew Haigh, chief executive at Newcastle Building Society, says: “Sir Bobby continues to inspire and motivate people. 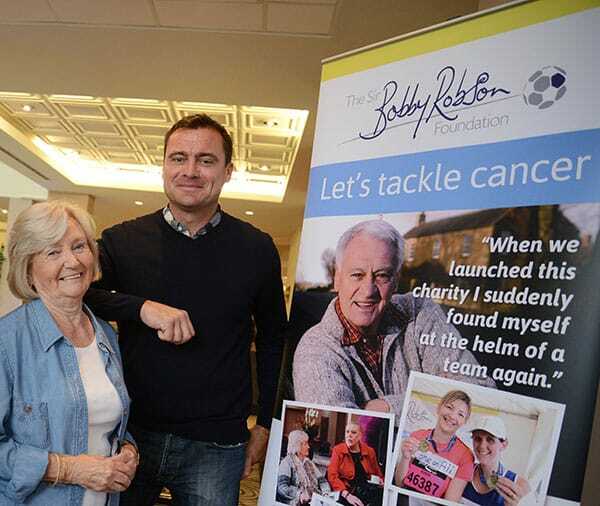 Channelling the respect and affection people still hold for him, to make such a difference to people’s lives today through the Sir Bobby Robson Foundation’s work in cancer research, is a powerful legacy. Lady Elsie added: “We’re absolutely thrilled by the funds raised through these special accounts. “We had no idea they would become this successful and we’re extremely grateful to the Newcastle and its members for supporting our work. The Newcastle has always understood the importance of what we fund. “Bob was absolutely determined to provide world-class cancer facilities through his charity.